Tory Johnson brings "GMA" Deals and Steals to Charlotte. Tory Johnson is on the road with “Deals and Steals,” bringing exclusive discounts on must-have products live from Charlotte, North Carolina. Score big savings on everything from jewelry to bedding, lotion and more. The deals start at just $12.50 and are all at least 50 percent off! 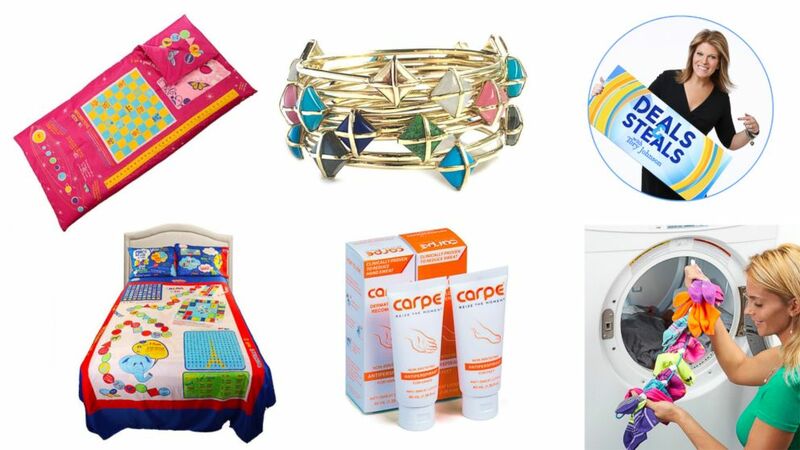 ( ) Tory Johnson has exclusive "Deals and Steals" for "GMA" viewers on must-have products. Come join Tory as she travels in the next three days to Indianapolis, Atlanta and Nashville. Click HERE to find out how you can join the live audience, for free! (SockDock) SockDock products are pictured here. The SockDock is a simple and easy-to-use laundry tool designed to keep socks in pairs while washing, drying and storing so you never have to sort, match or search for socks again. Just place the dirty socks between the sliders to store – once the SockDock is full, remove the hanger and toss it all in the washer. Each SockDock holds 9 pairs of socks of any size from baby to adult. This exclusive deal includes 2 sets of SockDocks. Shipping is $3.99. (Carpe) Carpe products are pictured here. Carpe is a simple solution to prevent sweaty hands and feet. 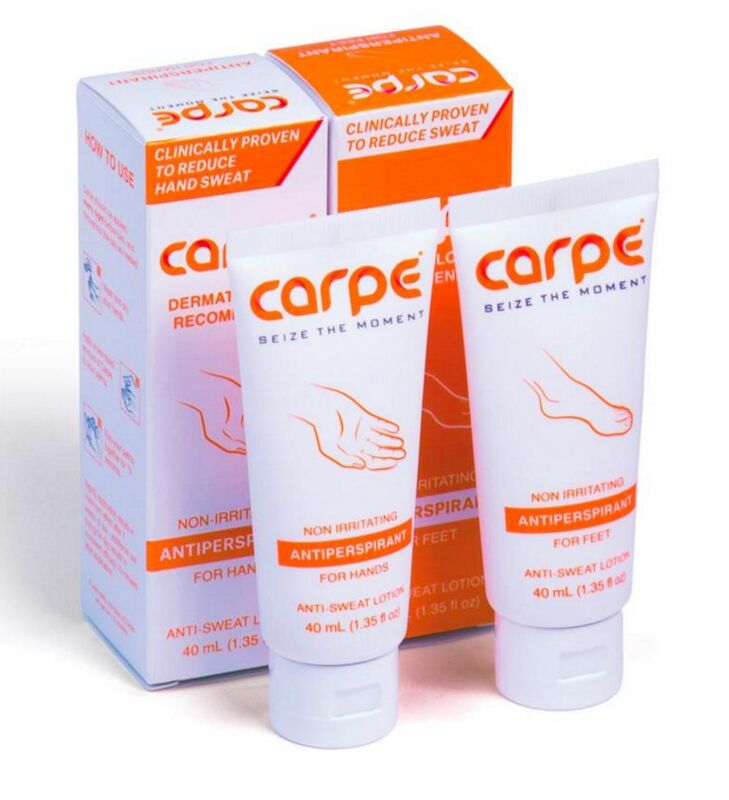 Carpe uses the same sweat protection as an underarm antiperspirant, but in lotion form so it quickly absorbs without a greasy feeling. Created by two college students -- one at UNC, the other at Duke, Carpe is for people who have sweaty hands and feet all the time – or just when you want the confidence of a dry handshake before a meeting. Choose from a 3-pack of hand, a 3-pack of foot or a 2-pack (1 hand, 1 foot.) Free shipping! (Addison Weeks) Addison Weeks jewelry is pictured here. Created by two Southern designer friends, Addison Weeks’ gemstone jewelry features colorful classically modern and luxurious designs. Named as one of Oprah’s Favorite Things in 2016, each piece emphasizes the quality and design of fine jewelry but at a fraction of the cost. 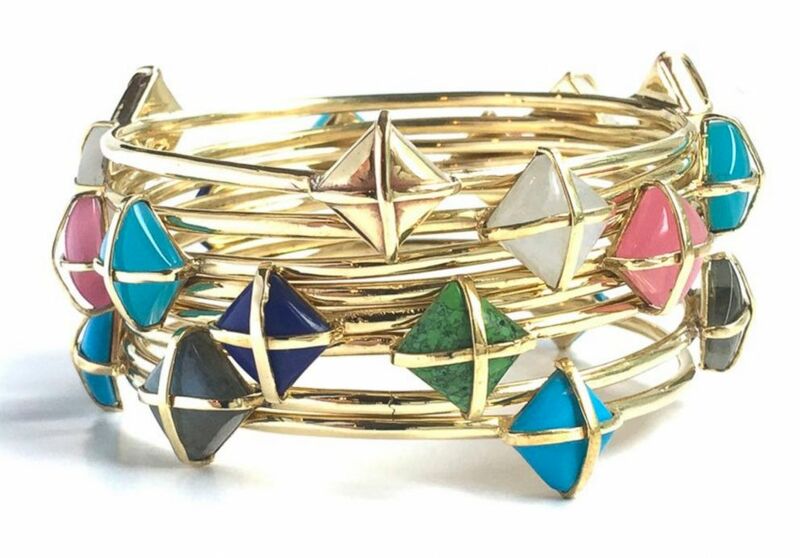 Mix and match with this assortment of styles including cuffs, stud earrings, hood earrings, bracelets and necklaces that showcase faceted, colorful gemstones. Shipping is $5. (Playtime Edventures) Playtime Edventures products are pictured here. Playtime Bed Sheets was created for kids confined to long stays in children’s hospitals. Now, making them available to kids and families everywhere, these bed sheets provide a positive environment to play, learn and sleep. 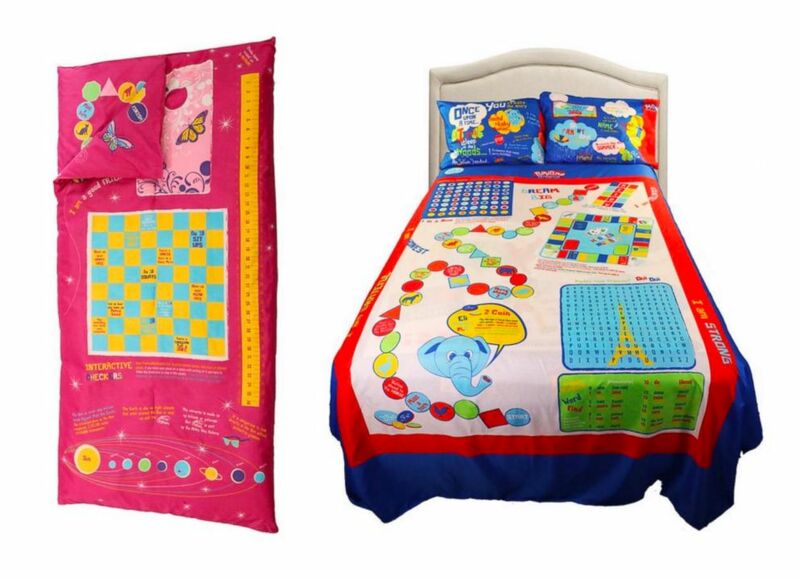 The fitted and flat sheet have over 50 interactive games revolving around math, grammar, science and geography and more. The pillowcases are double sided and inspires kids to create their very own stories. The Reversible Slumber Bag features over 25 interactive games and can be unzipped to be used as a play mat or cozy cover. Shipping starts at $6.23.